The Curb star debuts a new solo show. 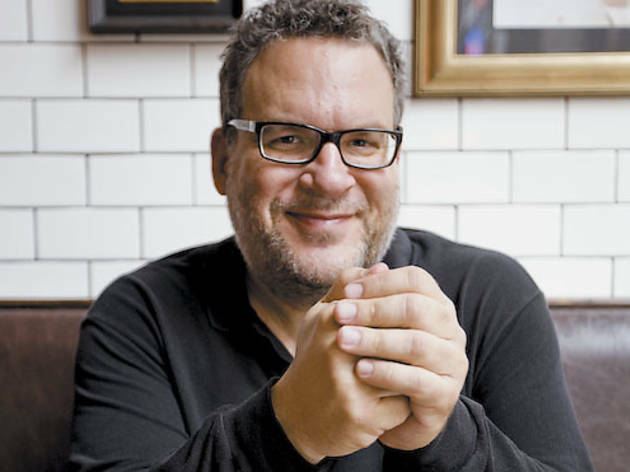 When we meet for lunch one afternoon in May at Eleven City Diner, Jeff Garlin extends his elbow. Garlin, who is in town to perform a benefit show for Northwestern University, is under the weather and while he declines to shake my hand, the offering of a hinge joint as substitute salutation suffices, and I elbow bump him right back. What the 49-year-old Chicagoland native and Curb Your Enthusiasm star doesn’t allow in his life anymore is fast food or sugar, particularly the latter. In My Footprint, he explains it this way: “You can put me in a room. And in that room you have the best pot in the world, the best coke in the world, the greatest glass of wine of all time, and a two-day-old grocery store sheet cake. Guess where I’m going? I am an addict.” It’s this struggle that will form, in part, the basis of his new solo show No Sugar Tonight, opening Wednesday 13 at Steppenwolf’s Upstairs Theatre. Garlin says that No Sugar Tonight, which recently enjoyed a sold-out run in London, will be very different from performance to performance, which should surprise no one familiar with his casual stand-up style and impromptu performances at iO and the UCB Theatre in Los Angeles. Recent events may find their way into the show. “Now is a very dark time for me,” Garlin says. “All these bad things seem to be happening to me. 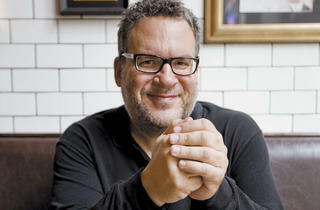 They’re happening to others, I should make that clear, but they’re affecting me.” Garlin is referring to the February death of Second City’s Joyce Sloane, who he says acted as a surrogate mother while he worked and studied at the theater in the ’80s, and also to the health of his parents who live in the ’burbs and are both battling cancer. He’s purchased an apartment in the city to decrease the frequent commutes from his home in Los Angeles. Comedy is the place where Garlin feels most confident. “I’m a tortured individual and I wish I was just light and happy all the time,” he says. “My motivating factor is to be funny and to use my humor to ease people’s pain.” That’s worth another elbow bump. No Sugar Tonight opens Wednesday 13.